Flower delivery is one of the best ways to share and spread love. This service is used in many ways to deliver smiles, joy and love. It can also be used to deliver condolences, apologizes or sympathy. Floral arrangements are one of the best ways to surprise someone. 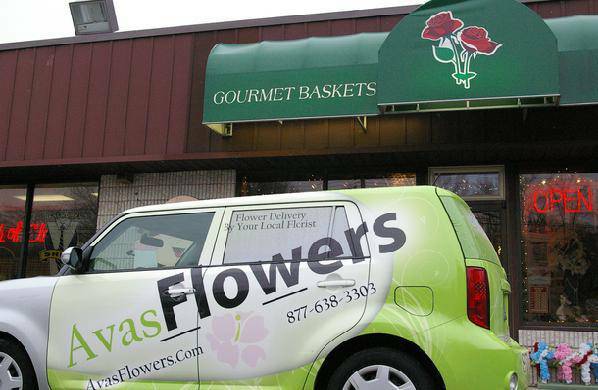 A bouquet, vase or basket can be delivered to a loved one’s workplace. They may also be delivered to restaurants or other location if needed. Many choose to use these floral services for holidays or big events. These are often paired with a crystal vase or a heartfelt card. Many, however, wish to find a more creative way to deliver flowers. A growing trend for bouquets is selecting “Just Because” arrangements. These are often brightly colored blooms that bring a lot of cheer. Bright pink, yellow and blue blooms can make someone feel special. A “Just Because” arrangement can contain other flower types as well. As there is often no holiday or occasion, the options increase. Some may choose orchids, tulips or lilies to show love or friendship. Potted arrangements are another good option for Just Because flowers. Live plants, such as cyclamen or ivy are often used in this way. This creates a living arrangement the recipient can enjoy longer. There are many occasions when faster flower delivery may be needed. Examples of this include sympathy, condolences or congratulations. These occasions often require the fastest delivery for bouquets. A congratulations bouquet is often sent same day for a promotion. They may also be sent to parents to welcome their newborn baby. These can often be ordered and sent to the recipient the same day. Sympathy flowers are often sent to those who have become unwell. This may be due to an injury, a surgery or another health condition. These flower arrangements may also include “Get Well Soon” baskets. A Get Well Soon basket can be used to send best wishes for recovery. Same day delivery is often necessary if the person was just injured. It may also be used if the person had recently become ill or unwell. A condolence arrangement is often sent to those who are grieving. It is often used to express sympathy and encouragement to others. For a sudden loss, same day flower services are an ideal choice. Those who may be planning to send flowers may lack time to shop. When same day service is needed, many may be too busy to go shopping. Because of this, many shops offer an online site customers can use. While using the online site, customers can see available flowers. Those needing same day can often see what is available that day. Other possibilities include specials for bouquets or live plants. Instead of visiting a physical location flowers can be ordered online. This can be a time saver when a last minute bouquet will be needed. To see what is available for flower delivery, please check the site.